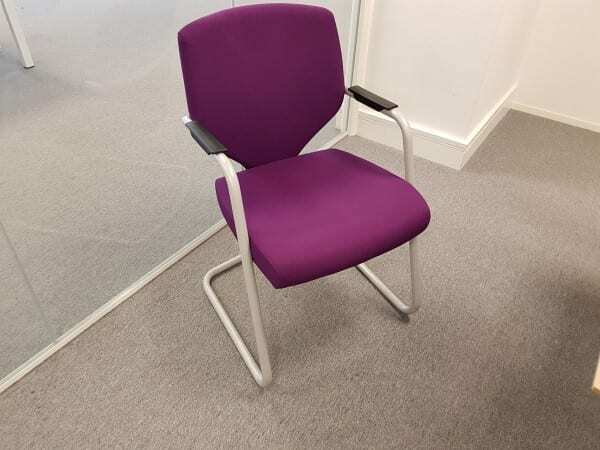 We currently have these Pledge Meeting Chairs in stock. 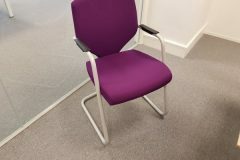 Upholstered in a purple cloth and on a chrome cantilever frame, these chairs are suitable for meeting or boardrooms. They can also be used for visitor areas and can be stacked for greater practicality. However, if you are unable to find what you are looking for, we have an extensive range of other second hand meeting chairs in stock. Just click on the link provided, or simply enter your details into our ‘Request a Quote Online Form‘ below and one of our sales team will be in touch very soon. As always, you can view these meeting chairs in our showroom along with all our other used office furniture.